Dog training classes can benefit both the dog and the trainer who is teaching it. That’s why Dog Trainer College provides courses for both future trainers and loyal companions. 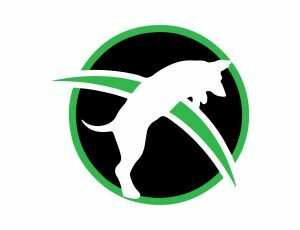 Our facility is a dog trainer certification school with police K9 training in Georgia that will show you the ins and outs of dog training and provide your dog with the training he needs. Whether you’re a long-time dog trainer looking to brush up on your skills or a novice who needs help with breaking into the dog training business, Dog Trainer College can outfit you with the courses you’ll need to get ahead. You’ll be able to attend a dog trainer certification school in Georgia and take any of the courses that are available and suited to meet your needs, like police K9 training. You’ll learn how Conifer Canine trainers teach dogs effectively and see immediate results when you put their methods to good use. Many have turned to the Conifer Canine training team at our facility to improve the behavior of their dogs and to help them develop life skills that prove beneficial. Others turn to us to teach their top-quality pups how to do police work or to serve as service dogs. Dog Trainer College has it all, from basic obedience to classes in specific areas of interest. Your dog will learn how to be a dependable and trustworthy companion no matter which classes you choose to enroll in. Have you been thinking about enrolling in dog training courses or enlisting your dog in professional training classes? Call Dog Trainer College at 812-650-2394 to add a course to your schedule today!